History is made every day and today's modern trucks will almost certainly become tomorrow's classics. That presents a strong case for recording the latest trucks on camera. With the rapid pace of change, present-day vehicles will very soon become things of the past. 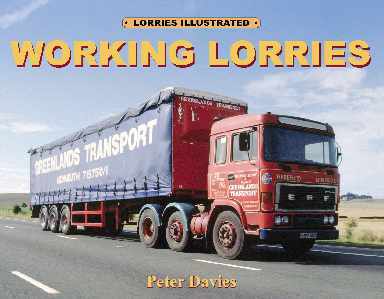 Most of the photographs featured in our Roundoak Publishing Lorries Illustrated book by the noted photographer and journalist Peter Davies were taken in the 'nineties - only twenty years ago - but it is quite sobering how the whole transport scene has changed in that short space of time. Once familiar makes like Foden, ERF and Seddon Atkinson are now diminishing in numbers as are some of the better-known hauliers who have decided to pull out of the industry. History goes on being made and there is always something new to interest the true lorry enthusiast.